Since 1965, Diamantini & Domeniconi stands out in the world of watchmaking with cuckoos with traditional mechanism of quality and very contemporary forms. 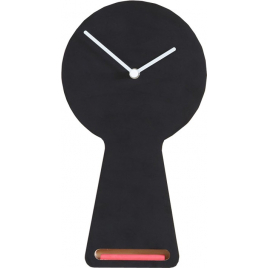 All the expertise and ingenuity of the Italian brand Diamantini and Domeniconi in this clock that is, at the same time, a wall slate. 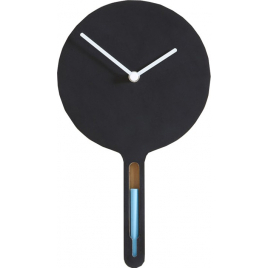 Wth this Meridiana cuckoo designed by the Italian brand Diamantini & Domeniconi, we find the silhouette of traditional cuckoo clocks, but it is simplified in order to give the clock a more contemporary design. "Toiture" by the Italian brand Diamantini & Domeniconi associates with elegance a square piece of Liban cedar with coloured rope and bird : sobriety and high technology for this contemporary cucu. "Ettore" is a contemporary cuckoo with clean lines and beautiful proportions. 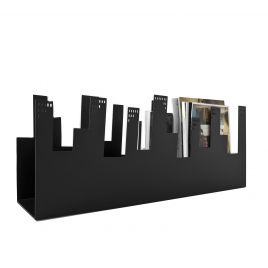 With its generous proportions, it can be wall mounted or placed on a shelf... 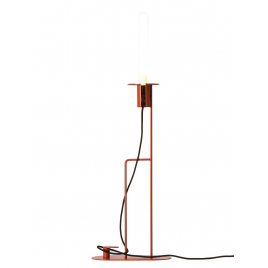 Everywhere, it will bring a touch of modernity and originality to your room. 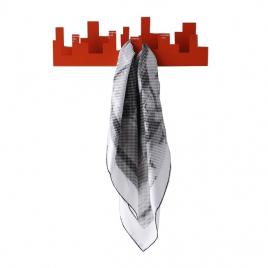 Blink of eye for architectural landscape with this metal coat hanger carried out in laser cut and bent plate. 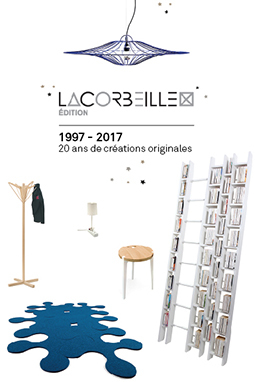 Next to the sofa or in an office, the magazine rack Belleville allow you to keep on hand, in style, your best magazines. 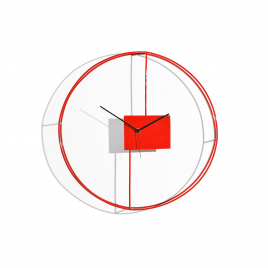 With Prima O Poi, the shadow projected by this very graphic clock is as important as the object itself ... For a surrealist, evolutionary and poetic decor. Desk and wall ambient light "Cavallo"
This lamp of the Italian brand Diamantini and Domeniconi mixed references and uses and offers a very original lighting with multiple readings. 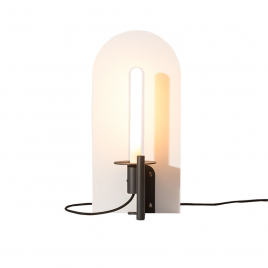 Desk and wall ambient light "Teda"
This lamp of the Italian brand Diamantini and Domeniconi will bring a very elegant and graphic industrial touch to your decoration. 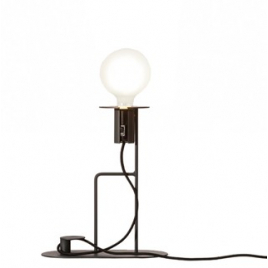 Desk and wall ambient light "Tedina"
As the little sister of the Teda lamp, Tedina shares with her eldest an elegant industrial aesthetic that you can choose to accentuate or soften depending on the light bulb you install. Desk and wall ambient light "Re"
This lamp "Re" from the Italian brand Diamantini and Domeniconi re-interprets the reflector luminaires with a very refined and elegant industrial aesthetic.